We issued a survey targeting professionals from the healthcare world to gain insight into the particular learning and development challenges they face. Being fairly familiar with the challenges faced by those from the corporate enterprise world we were curious to see if the healthcare industry—hospitals in particular—are struggling with similar challenges and to what degree. We received over 300 responses coming from a range of professionals who work in hospitals. Responses came from those who work in: IT, Operations/Administration, Human Resources, Learning and Development, Nursing, and Education/Research. The majority of responses came from Directors/Managers/Supervisors, Senior Management and Staff Members. Before we issue the full report, we thought we would share some key takeaways. This was particular surprising to us seeing as the first wave of learning management systems appeared roughly 15 years ago! While it seems like online learning/training via learning management systems have been around for a while now, it has only reached critical mass in the past 7 years. 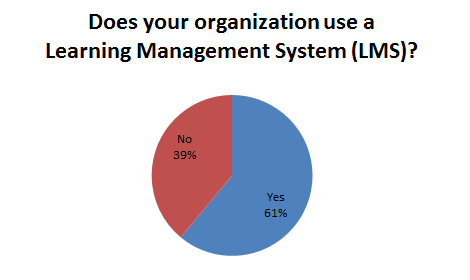 One of the reasons it is so surprising that 40% of hospitals still don’t have a learning management system for online training is because how much hospitals stand to save and gain. No other industry faces as many compliance standards as hospitals. Not to mention, how quickly their compliance standards change and how many employees need to be trained. Just to give you an idea—hospital maintenance workers such as painters and electricians require compliance training before they can work for a hospital! 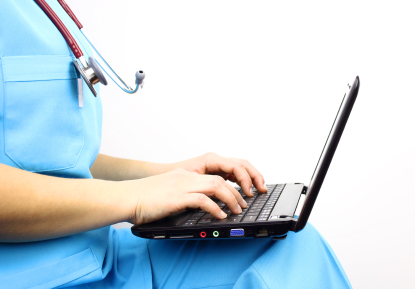 With online compliance training, hospitals can train any amount of employees at a minimal cost and even set up automated reminders for retraining. To learn more about how an open source healthcare learning management system will help your organization cut costs with online compliance training, download this guide. Nearly 70% of survey respondents indicated that their number one challenge in providing continued education, training and learning opportunities for employees is due to the fact that it is too costly—especially when learning conferences and programs are not local. We found this interesting because 60% of hospitals indicated that they do have a healthcare learning management system, which is a proven tool for providing cost effective continued education learning opportunities to any number of employees. This leads us to believe that hospitals have yet to see how their LMS is a platform for continued education, and instead see it as a tool solely for online training. The second largest challenge for hospitals is that managers do not know what learning investments will add value while decreasing costs—over 40% of respondents view this as a struggle. The answer for us is pretty clear—a talent and learning management system that provides continued education programs anywhere, at any time, coupled with a performance management program that tracks employee performance alongside the learning opportunities utilized.